Today, Friday the 4th of August, Bandcamp is donating the entirety of their 15% share of all sales on their website to the Transgender Law Center. The benefit runs until midnight Pacific time, which is 3am for us on Eastern time. You can get more info on Bandcamp’s benefit here. If the benefit is over when you read this but you’d still like to donate, or you’d just like to donate directly to TLC, you can do that here. This means anything you buy on Bandcamp will help support TLC as well as the bands you buy from. 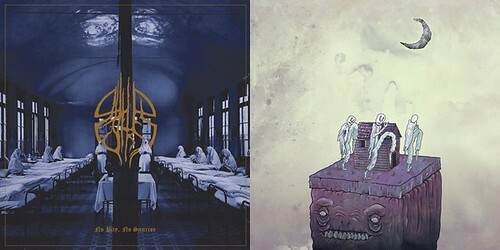 Because of this I thought I’d throw together a list of some of the best local metal I’ve found on Bandcamp this year, as well as a few other metal bands outside of the area that are actively participating in today’s benefit here. If you’d like the full list of the 200+ bands and labels that are participating, metal and non-metal alike, you can see that here. First up it should be noted that locals A Sound Of Thunder are actively participating in the benefit and for today only they are selling a “trans pink smoke” double vinyl variant (limited to 100 copies) of their covers album Who Do You Think We Are? for $25. The album will also be available on CD ($18) and digital formats ($8) for the first time. They have previously only been available to those who participated in the crowd funding campaign, however the CDs and digital downloads of the cover album will only be available publicly today. 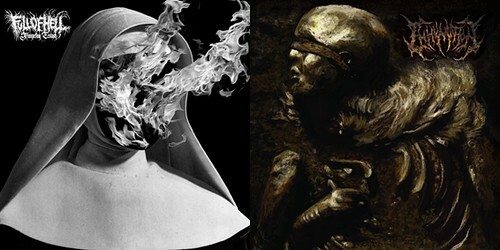 You can find all formats on Bandcamp here. Chicago based Immortal Bird isn’t really a local band, though their vocalist, Rae Amitay, did go to high school in Fairfax, Virginia. Today they are also donating $1 of any Bandcamp sales to TLC, in addition to Bandcamp’s donation. I highly recommend their 2015 album Empress/Abscess which is just $7 digitally on their Bandcamp here. Some other non-local metal bands that are participating include Ghoul who are donating all sales Friday and Saturday to TLC. You can download their latest album Dungeon Bastards for $7 here. Massachusetts based thrashers Lich King put out a killer album this year in The Omniclasm and you can download it from Bandcamp for $10 here. Lich King is donating all of their proceeds from Bandcamp today to the benefit. The Brazilian/Italian operatic metal band Ruins of Elysium has made a point of standing up for LGBT rights (just check the lyrics to their song “The Birth Of A Goddess” for starters) so it makes perfect sense that they’ll be donating their share of all Bandcamp sales today. Check out their latest album Seeds Of Chaos And Serenity which is available for download for $11.88 on Bandcamp here. 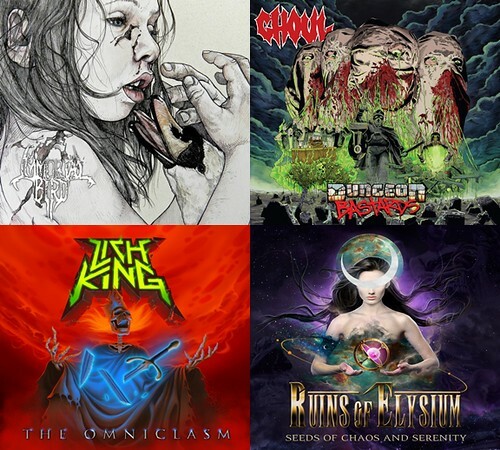 If none of that stuff floats your boat feel free to scour the list I’ve made below of some of my favorite local metal albums on Bandcamp of 2017. You can help support a local band and the Transgender Law Center when you buy any of these today! Alluvion – Psyche/Stoner from Fredericksburg, VA. $5 gets you their 9 track album .​.​.​Of the One Consciousness that released in May here. 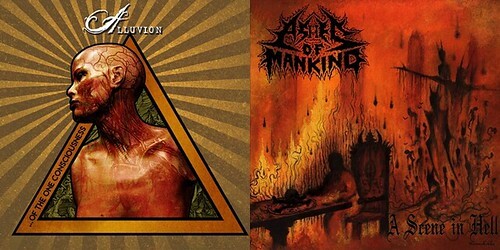 Ashes of Mankind – Death/thrash metal from Baltimore, MD. $6.66 gets you their 8 track album A Scene in Hell that was released in May here. At The Graves – Doom/sludge from Annapolis, MD. Just $1 gets you a download of their 8 track album Wrecked that was released in late July. You can also get it on CD or cassette for $6 each. Digital and physical versions are all available here. 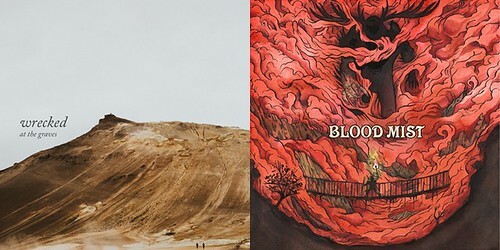 Blood Mist – Sludge/stoner metal from Baltimore, MD. $5 gets you a download of their 5 track self titled album that was released in February. You can also get it on CD for $7. Digital and physical versions are both available here. 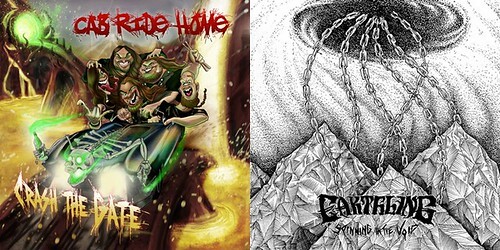 Cab Ride Home – Thrash metal from Northern Virginia. $10 gets you a download or the CD version of their 11 track album Crash The Gate. Released in April, this is the band’s final album since their vocalist, Danica Roem, is now running for a delegate seat in Virginia. Digital and physical versions are both available here. Earthling – Thrash metal from Harrisonburg, VA. $7 gets you a download of their 6 track album Spinning in the Void that was released in July here. This album shreds guys, highly recommended! Features Alan Fary who also plays in Valkyrie. Full Of Hell – Death/noise from Annapolis, MD. $6.35 gets you a download of their 11 track album Trumpeting Ecstasy that was released in May. You can also get it on CD for $8.74. Digital and physical versions are both available here. This has been one of the most talked about albums from our area this year and it lives up to the hype! Inhumation – Death metal from Frederick, MD. $6 gets you a download of their 6 track EP Ontogenesis that was released in April. You can also get it on CD for $8. Digital and physical versions are both available here. Lord – Sludge/stoner from Fredericksburg, VA. $7 gets you a download of their 6 track album Blacklisted that was released in May. You can also get it on CD for $10. Digital and physical versions are both available here and they also have some packages that include tshirts with Mark Riddick art. 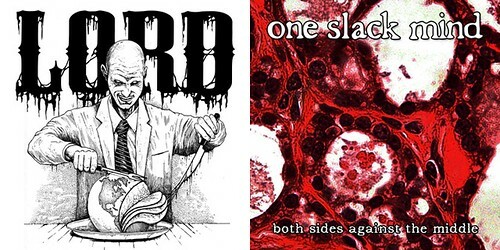 One Slack Mind – Stoner/groove metal from Washington, DC. $8 gets you a download of their 10 track album Both Sides Against the Middle that was released in July. You can also get it on CD for $10. Digital and physical versions are both available here. Pain Tank – Grind/death metal from Northern Virginia. $8 gets you a download or the CD version of their 13 track album 97​,​901​,​726 Confirmed Kills. Released in March, the album’s name is meant to be the total number of fatalities in all wars that the USA has been involved in. Digital and physical versions are both available here. 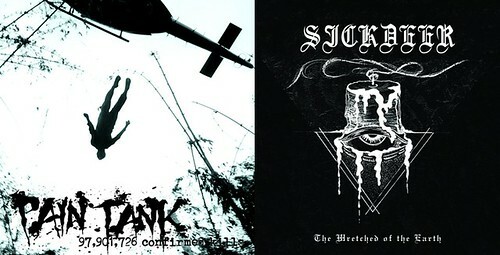 Sickdeer – Black metal from Washington, DC. $7 gets you a download of their 7 track album The Wretched of the Earth that was released in March. You can also get it on CD for $10. 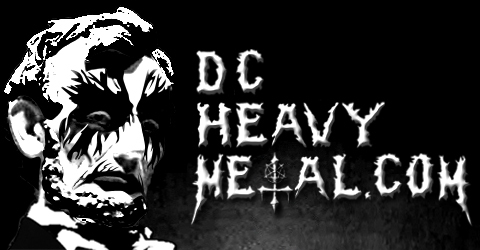 Digital and physical versions are both available here and you can read the review of this album on DC Heavy Metal right here. Sloth Herder – Grind/black metal from Frederick, MD. $5 gets you a download of their 14 track album No Pity, No Sunrise that was released in March. You can also get it on CD for $7 or cassette for $6. Digital and physical versions are all available here. Virginia Creep – Stoner/Indie from Washington, DC. OK so this one actually came out in October of last year but it didn’t show up on my radar until this year. It features JR Hayes of Pig Destroyer as you’ve never heard him before, so that alone makes it worth listing here. $2.99 gets you a download of their 3 track self titled EP, just go here.